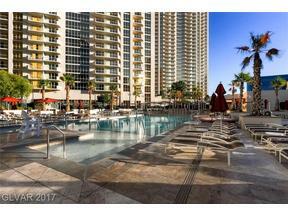 Luxurious one-bedroom unit in MGM Signature Towers! This newly upgraded, fully designer furnished unit features sweeping Strip and Pool views from the balcony, stainless steel appliances, Jacuzzi tub in master bathroom, flat screen TV’s, custom Snaidero Cabinetry and granite counter tops. Includes access to pool/spa, lounge, gym, valet, concierge and all of MGM Grand’s amenities.